We will then begin to explore vital records and census records to start filling in your tree with new details. You will also learn how to attach documents, pictures, and memories to your ancestor. When you leave, you will have the fundamental knowledge to complete an ancestor search and the ability to add that information to your family tree.When you leave, you will have the fundamental knowledge to complete an ancestor search and the ability to add that information to your family tree. * Class attendants should bring names and dates of their parents and grandparents if the information is available. If information is available for great-grandparents, bring that as well. 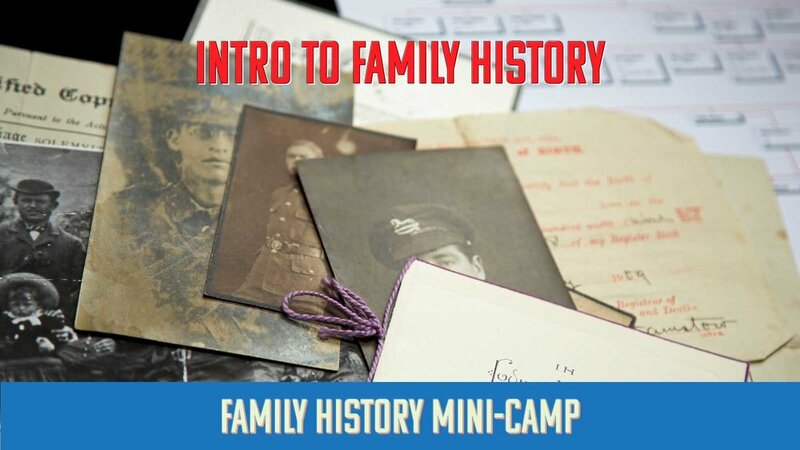 There is only one session of theFamily History Mini-Camp . We’d like to thank Bell Mountain Ranch Equestrian Center for sponsoring this session and we hope you find it helpful and inspiring! Hi, I am Kathy Penrod. When I was young, my mother initiated many trips across the nation to visit random cousins she hadn’t yet met. She had a passion for Family History, also known as Genealogy, and spent most of her adult life collecting pictures, letters and vital records for every relative she could find – living or dead. Now that computers have made it easier to find information, Genealogy is one of the fastest growing hobbies in the United States. I have been working in Family History for several years and would love to share what I know.